Book your Snap on Smile assessment now. 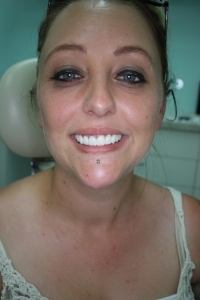 An initial assessment is the best way to see if Snap on Smile is ideal for you. Dr Michael Leong will conduct a brief suitability assessment and answer any questions you may have about Snap on Smile. Get a beautiful smile with a painless and low cost Snap on Smile. Do you like the idea of paying very little to obtain your ideal smile, and possibly without needles and minimal tooth destruction? Then a Snap On Smile may interest you. 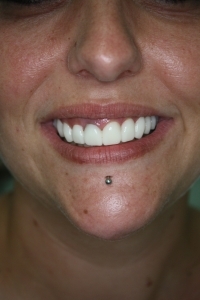 Snap on Smile is an affordable, non invasive, and completely reversible cosmetic, removable appliance that can easily and painlessly give you a beautiful smile. It gives you the ability to change the colour and shape of your teeth without the need for bleaching or the more costly veneers and crowns. 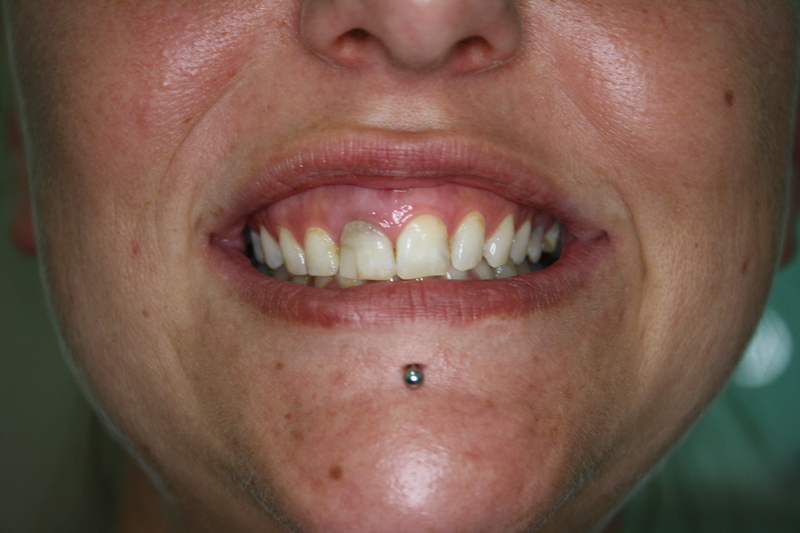 In cases where you have lost tooth height due to age, acid wear, and bruxism, a Snap on Smile can recreate longer looking teeth, and thus give you a more youthful look. Q. When can I use a Snap on Smile? It is an excellent choice for: -Gaps, crooked, stained or missing teeth -Those who are not a candidates for bridges or implants -Anyone who would like a Hollywood smile without the expense and discomfort of complex and invasive dental procedures -Anyone who has an old-fashioned removable partial denture and does not like the hooks, clasps and tissue coverage. -Anyone who gags easily. 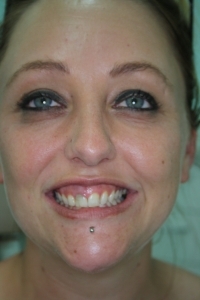 An initial Snap on Smile consultation will determine if you will be a suitable candidate. You pick the style and shade of your new smile. An impression of your teeth will be taken. After 6 weeks, you come back for a final fitting and you wear your Snap on Smile home. Q. How long will my Snap on Smile last? Snap on Smile comes with a 12 month limited warranty against manufacturing defects. With proper care, your Snap on Smile can last from 3 to 5 years. Just follow the cleaning instructions and you’ll enjoy millions of smiles with Snap on Smile. The Snap on Smile appliance fits directly over your existing teeth and attains its retention utilizing the anatomy of each existing tooth. As a result the Snap on Smile fits snug over your teeth and allows you to eat and drink.